TORONTO, ON, CANADA, April 4, 2019 /EINPresswire.com/ -- The Movie Expo is bringing Hollywood to Toronto this Fall for a blockbuster weekend on September 20 – 22, 2019 at the Enercare Centre down at the Exhibition Grounds. They will be bringing in some of Hollywood’s biggest names in the industry, and you can have the opportunity to pitch your show or movie ideas to Netflix, Amazon or Hulu. 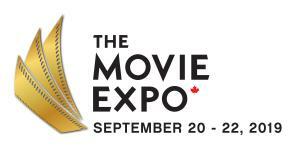 The Movie Expo is the largest in the film industry, and it promises to provide Canadians with industry insider opportunities in this movie lovers three-day exhibition. Bringing Hollywood and International opportunities to Canada; filmmakers, actors, producers, and writers will have a chance to get scouted and pitch their ideas while experiencing movie-making magic, performances, workshops, technology, seminars, celebrity meet and greet, and exclusive networking opportunities. Beryl Huang, Hollywood Executive Producer who will be giving a talk on Women of Power in the industry. She will be a part of the Movie Expo pitch panel focused on Canadian-Chinese co-productions. 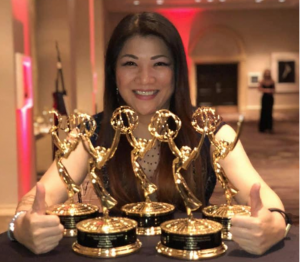 She is a winner of five Emmy’s for Daisy Belle. Her activities now cover the acquisition of media content for distribution in Asia as well as the worldwide distribution of Chinese and Taiwanese film and TV projects in the rest of the world and Chinese Investment in Hollywood projects. Huang is also an international motivational speaker. Beryl is also the executive producer for the award-winning 3D documentary Wonders of the Sea - directed by Jean-Michel Cousteau & Jean-Jacques Mantello, Starring Arnold Schwarzenegger, Celine Cousteau, and Fabien Cousteau. Chad Miller will be giving a talk on how to seek and negotiate a distribution deal and will also be a part of the Movie Expo’s panel to accept pitches for show and movie ideas. He is an acquisition and distribution consultant with 15+ years of experience in the entertainment industry taking part in project developments, film festival acquisitions and cross-platform distribution strategies. With a focus on on-demand entertainment, Chad founded “Cinema Machine Management” where he advises content aggregators, filmmakers, producers and on-demand or subscriptions entertainment platforms. As seen on STAGE 32 covering secrets of Amazon, Hulu and Netflix distribution, his sessions and webinars have sold out worldwide. George Lee is the Co-founder and CEO of Venture 3D with experience in co-production, financing, foreign distribution and licensing of major Hollywood studio films in Asia. Lee has taken part in animated feature films by producing several feature films like, “Charming,” “Animal Crackers” and “Trouble.” In 2016 Lee partnered Michael Bay, one of Hollywood’s biggest directors in a new company, 451 Media group. He currently a partner with Storyoscopic Films in Los Angeles and exec-producing the action films “Valet,” written by Academy Award nominee, Jason Hall and producing the musical “Beyond the Velvet Rope,” written by Academy Award winner Ron bass. George will be a part of the panel accepting pitches. Marcus Englefield is the Co-founder of industry-leading conversion company Venture 3D. With 20 years of experience in the entertainment industry, Englefield has produced animated feature films like “Animal Crackers” starring Emily Blunt, Danny Devito, Sylvester Stallone, Ian Mckellen, and John Kranski, “Charming” featuring Sia, Demi Lovato, Gem, Wilmer Valderrama and Avril Lavigne and “Trouble” starring Big Sean, Jason Mraz, Snoop Dog and Lucy Hale. He also produced the live-action films “The Naked Man” and “I Think I Do,” as well as 80+ commercials, music videos and documentaries. Marcus will be a part of the panel accepting pitches. “The key to success is having a vision and the courage to step forward. Only when you seize the opportunity to connect great minds, recognize talents and have the valour to travel new paths can extraordinary things transpire” – Zin Sze-To, CEO and Founder. This must-attend event will take place from September 20th to September 22nd, 2019 at the Enercare Centre – Hall A and it’s open to filmmakers, actors, writers and producers of all levels and film fans of all ages. The MOVIE EXPO is a 3-day exhibition featuring 300+ film and movie industry related exhibitors, 45+ seminars, and workshops with 25+ industry keynotes. This will be happening this September 20-22, 2019 in Hall A inside the Enercare centre (CNE grounds) providing attendees with 125,000sqft of movie-lover extravaganza with Education, Entertainment and Networking. The primary objective is to emphasize, grow and nurture the ambitious talent locally by delivering an optimal multi-edge platform by bringing Hollywood opportunities to the North and connecting Canadian films and talent to a global audience from North America to China. Guest speakers and exhibitors will be specialists from each department in the film industry bringing in a fresh boost of knowledge and inspiration to all performers and creators alike in our very own backyard - Toronto. Zin Sze-To, CEO & Co-Founder. Zin prides herself on the ability to take visions and making it a reality. With 20+ years of experience in Events & Production for both the Fashion and Entertainment industry, she has gained valuable insight into understanding the complexity of every production. Her coveted experiences in event coordination & execution, people management, and show production on an international level have enabled her to be versatile and ready to lead an army to the next level. She has an astounding progressive track record for events management from small groups to 5000+ staff or volunteer members per event. The secret to her success is confidence, communication, swift reactions, & decisive actions. Taz Garcia, Co-Founder. Taz is an internationally acclaimed Canadian based actor and director most recently inducted into the Vaughan City Hall for 150th Canadian Anniversary. Graduating top of his class with a major in Hospitality & Tourism Management while minoring in sales, marketing and psychology. Taz also holds two decades worth of customer service expertise, making him an integral part of balancing the team as well as the needs and wants when packaging the event for the guests. His continuous involvement in the entertainment industry fuels relevant insight to the team and the event's building pillars.